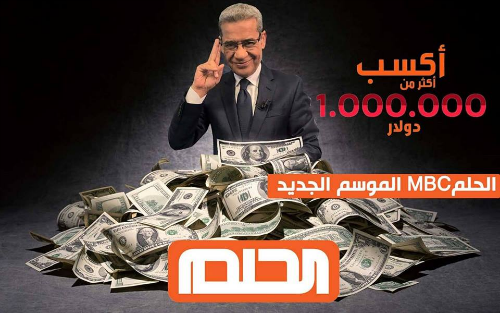 “Helm” means dream in Arabic, and it is also a popular show on pan-Arab TV channel MBC, where lucky participants win thousands, if not millions of dollars. The game consists of a participation through a premium SMS number specific to each country. If the number wins the draw, the participant is called directly by the organisers live on air. Due to the popularity of the show, many fraudsters have created fake social media profiles pretending to be “Helm” and offering free money. During the past few months, Empello’s Middle East & North Africa (MENA) team has been dealing with huge numbers of fake ads discovered on Facebook, Twitter, Instagram and other social networks in relation to this show. We have found that they target audiences from North Africa to the Gulf with social posts tailored to make them look as genuine as possible. The fraudsters try to make their fake posts go viral, so they can score thousands of likes and hundreds of shares. These posts are written in Arabic and usually have a picture or video attached to them, to lure social media users to click on URLs provided. A caption typically says “click on the URL and enter your number to get $1 million”. That URL then usually redirects to a VAS service which is unrelated to the genuine Helm TV programme. The result is that many users feel scammed after being mislead to subscribe to a service they did not even intend to engage with at the first place. The scale and speed of growth of these fake marketing campaigns has been so alarming that the problem threatened to become an epidemic. FraudScan’s extensive team of experienced analysts specialising in the MENA region allows Empello clients to rectify problems and significantly reduce fraud found on social media. “Helm” is only one example of problematic advertising in the region, where Empello provides invaluable support to clients wishing to protect mobile operator consumers. Our coverage in the region currently extends to 9 countries: Morocco, Tunisia, Egypt, UAE, Qatar, Oman, Kuwait, Bahrain and Saudi Arabia.